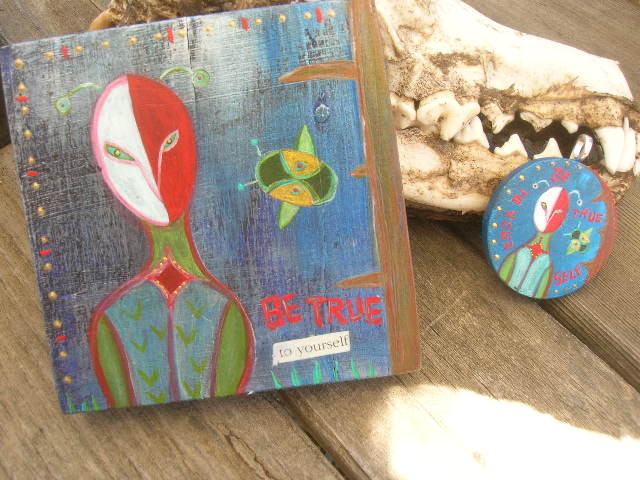 Just a wee note to let you know that my newest series of paintings and necklaces ~ The Magical Folk Art Series ~ is now available at Karma Boutique in San Diego; a lovely shop run by Michelle Klein. You will also find plenty of artful gifts by local artisans and receive a psychic or tarot reading as well. Please support independent businesses and artists by shopping at Karma Boutique. Thank you. 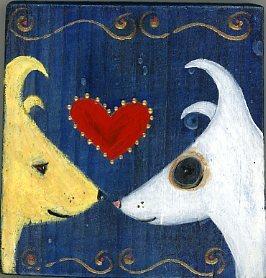 These are my latest creations from the Magical Folk Art Series. Enjoy!